A major benefit of buying packaged products from Wazee Crane is our ability to install, electrically start-up, field load test and service any product. We’ve been in business since 1921 and have an excellent track record of making cranes that stand the test of time. With over 5,000 cranes (and counting) shipped and successfully operating, and many, many others serviced in the field or repaired in our shop, Wazee is uniquely positioned to offer local service that is backed by world-class experience. 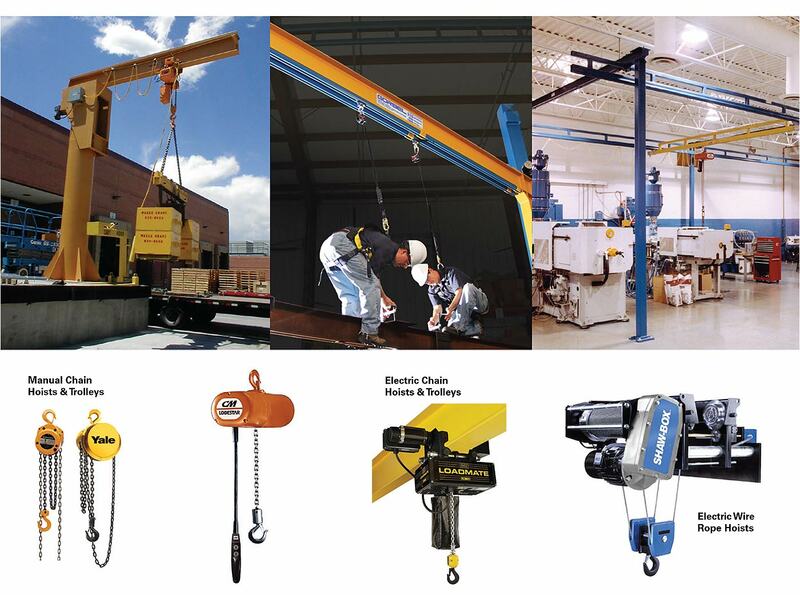 When it comes to crane products, Wazee is a one-stop-shop solution. Today, the list of products we sell includes workstation cranes, monorails, jib cranes, free standing cranes, hoists and trolleys. Give us a call today at 800-624-1736 to find your new or hard to find crane parts. We have relationships with a wide variety of vendors and are able to provide excellent pricing and quick turnaround on all parts ordered.